With the confirmation of the accession of Cyprus to the European Union, a new era for telecommunications has begun, characterised by the full liberalisation of the telecommunications market. CYTA, whose name has for more than 40 years been linked with the provision of telecommunication services, is no longer the sole telecommunications provider in Cyprus. CYTA though, has very strong foundations and is well equipped not only to meet the new challenges, but also to realise its vision to become the electronic communications bridge between East and West and to maintain its international reputation as a reliable and advanced telecommunications global provider. 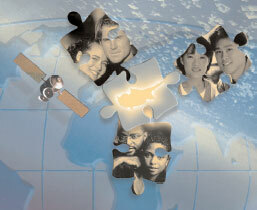 To this effect, the organisation is continuously upgrading the quality of its national and international network. At the same time, the portfolio of CYTA’s services is enriched and existing services are upgraded. CytaGlobal, the International Commercial Services Division of CYTA, is the business unit specialising in global electronic communication products and services. 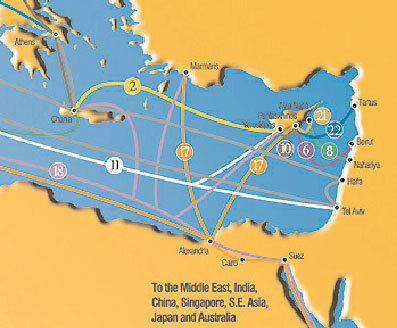 Taking advantage of the island’s geographical position, CytaGlobal has developed an extensive submarine fibre optic cable network, which connects Cyprus with the neighbouring countries of Greece, Italy, Israel, Syria, Lebanon and Egypt and thereafter with the rest of the world, as well as an equally impressive satellite network infrastructure. Through its global network, CytaGlobal provides a wide range of international telecommunications products, services and total solutions, making Cyprus the most important telecommunications hub in the Eastern Mediterranean and an excellent international electronic communications center. CytaGlobal, has intensified its efforts for expanding CYTA’s operations abroad, especially in countries with significant Cypriot communities, like Greece, and the United Kingdom. Taking into consideration the liberalization of the telecommunications market in Cyprus as well as CYTA’s significant investment in international cable systems, the strategy of entering new markets, will provide alternative sources of income for CYTA. The result of this strategy was the decision to establish subsidiary companies and strong points of presence abroad. In 2001, CYTA UK Ltd was registered in the United Kingdom, while the steps for establishing CYTA Hellas in Greece, are in their final stage. Being at the forefront of technology, and in line with its strategy for expanding in new markets, CytaGlobal has created an IP-MPLS network, which integrates voice, data and video into one global network. The newly developed IP-MPLS Platform named CytaWorld.Net consists of three Points-of-Presence in Cyprus, the UK and Greece supplemented with worldwide extensions via selected partners. The Platform enables CytaGlobal to offer a portfolio of International IP-MPLS applications, in cooperation with other Global Service Providers. 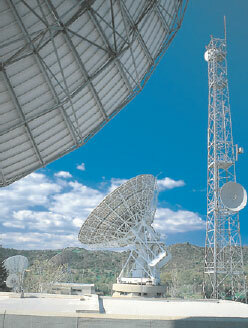 These applications include IP Transit, MPLS-VPN with Class of Service (CoS), Voice over IP (VoIP), A? ?/Frame Relay and Clear Channel (CES). The IP-MPLS network is secure, flexible, high-speed and scalable. The accession of Cyprus to the European Union and the liberalisation of the telecommunications market in Cyprus have opened up a new window of challenges and opportunities for CYTA and CytaGlobal. The achievements of the past are a spur to greater successes that will lead CYTA and CytaGlobal even higher.